For Christmas, I bought all of my family members a book. It was written in 1926. And it’s the perfect length: 28 pages. It cuts out all the fluff and gets straight to the point. Most 250 page nonfiction books should be 28 pages long. About 95% of them. Most people think they HAVE to write a long, verbose book to sell books. 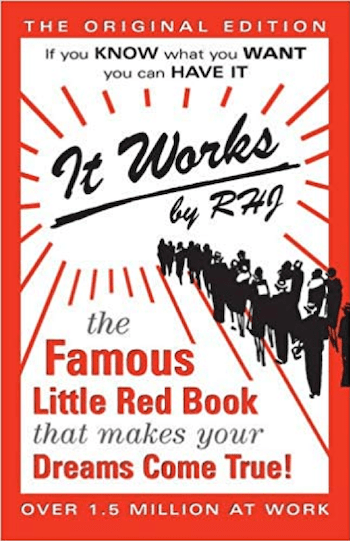 The author of this book, known only as “RHJ,” understood this long before anyone could self-publish a book in a weekend. 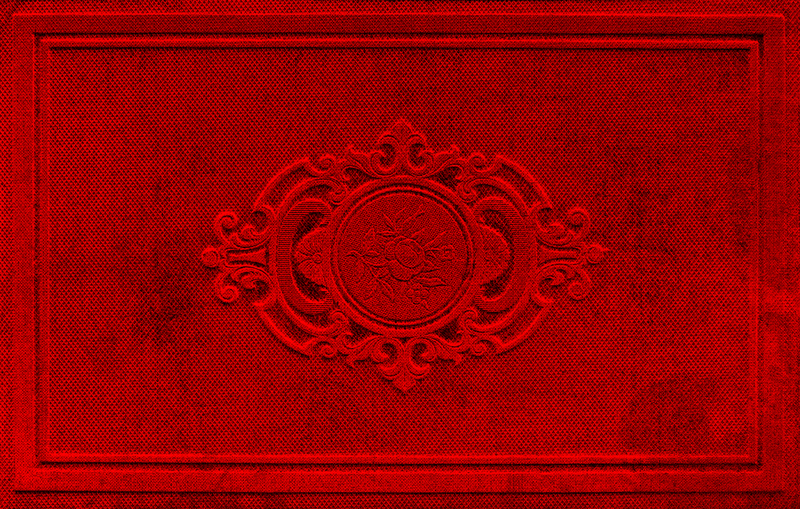 There are two profound things to learn from this tiny red book. Your brain can’t tell the difference between a “real” experience and one vividly imagined. And whatever you feed it, it seeks more of. This has been proven in brain scans. When someone imagines something happening — whether being attacked or winning money — the brain fires in the exact same way it would if it were really happening. People who dwell on failure, real or imagined, swim in feelings of failure all day and are completely blind to all of the opportunities around them… or they self-sabotage when an opportunity meets them directly. Those who dwell on success, on possibilities, on that “winning feeling,” have an expectant attitude for the opportunity. And when it pops up, they grab it by the neck, not stopping to think about whether they’re “worthy” or whether or not its safe. Yes, this idea could easily slip into New Age phooey. But when you get down to the brass tacks, it’s incredibly practical. 1] Write down a list of what you want, in order of importance. Also detailing the conditions in which you want them. Be descriptive. The higher the resolution, the more vivid that “winning feeling” you want to capture. 2] Re-write and read the list three times a day. Adapt it to your changing circumstances, accomplishments and desires. Think of the items on this list often, carrying the “winning feeling” with you throughout the day. Your unconscious mind is very smart, and very dumb. It takes on all of your thoughts and imaginations as real and directs your focus to more of that thing. That’s the first lesson of this tiny red book. The second? As mentioned, this book is 28 pages. Yes. It could’ve easily been 350. The author could’ve easily talked himself into writing a “traditional” book, telling a bunch of stories, writing 40 anecdotes. Had he done so, however, he probably wouldn’t have sold over 1.5 million copies (and still selling). If you’ve ever thought about writing a book, this is an important lesson. Think about it: What do you know that most people don’t? What do you tell people and their eyes widen, wanting to know more? That’s a book! In the Age of Distraction, people love short books. If you can change a life in 10 pages, why write 250? Even better, you can publish it on Amazon — putting it in front of the world — in less than a day. Kamal Ravikant wrote a book, Love Yourself Like Your Life Depends On It. It’s probably saved a few lives. And it’s only 36 pages. He’s sold tens of thousands of copies, received 3,000 reviews on Amazon and gets letters from people telling him how it changed their lives. Back in 1926, RHJ was lucky enough to have connections with a publisher. No publisher today would ever publish a 28 page book. It’s a waste of their time. And do it again and again and again. Until you have a collection of income streams making you money while you sleep. If you want to see JUST how easy it is, check this out. Once you begin, you won’t look back. Although layoffs can be emotional, a pink slip should be a call to action — to get your finances in order, including spending, savings, health insurance, and credit. Here are 12 steps I recommend you take immediately after you lose your job to keep your financial house in order. Nilus explains the little-known “Rule of 55” that slashes penalties. He also tells us why your 401(k) plan is safe … for now.